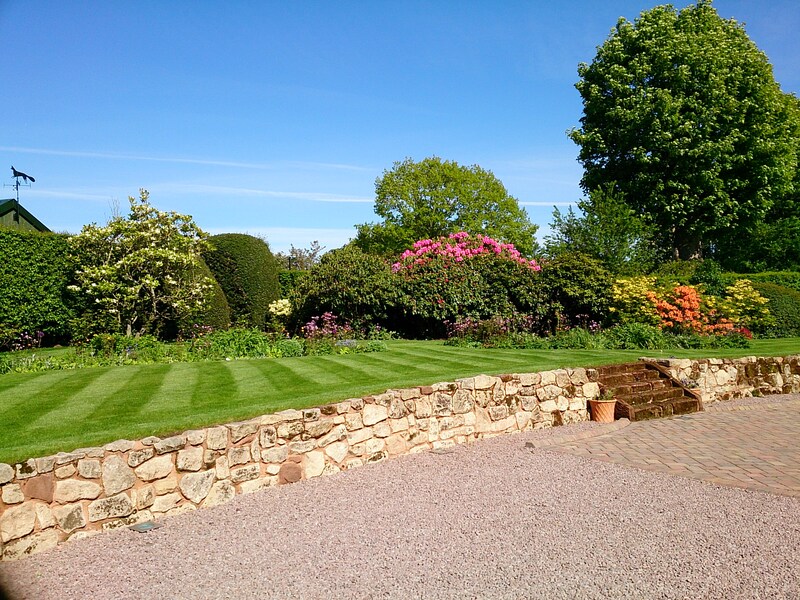 Mr and Mrs M T from Newport needed help with their large garden and they turned to Hills Garden and Grounds Care after being let down by a previous gardening service. Hills have been working for them for around five years for an average of 3 hours per week during the Spring, Summer and Autumn. • Two main lawns cut with a roller mower to provide the traditional striped finish. 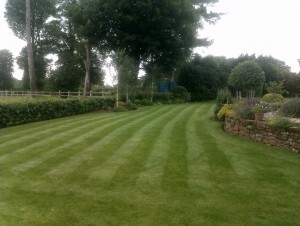 Hills deliver a high quality lawn treatment service as they observe the growing conditions when mowing the grass on a weekly basis. They are able to react to the lawns needs rather than using a pre-decided schedule for feeding and treatment. They also complete spot spraying with selective herbicides and pest control (chafer grubs for example). In autumn they scarify all of the grass areas. What difference have Hills made to your garden? “Working with Hills has given us peace of mind. We always know they will come when they say they will. They work very hard and in all kinds of weather conditions. The maintenance work Rowly, Clare and their team do in our garden allows my wife and I to enjoy the more creative elements of gardening. Their work is of a very high quality and they have an impressive knowledge of planting and horticulture. They are very proactive and have offered us great advice on moss control on our tennis court”. What stands out about the service you receive from Hills? Why would you recommend Hills? 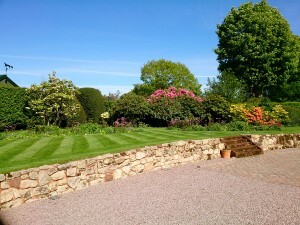 “Hills Garden and Grounds Care are highly professional and reliable. We would not hesitate to recommend them. 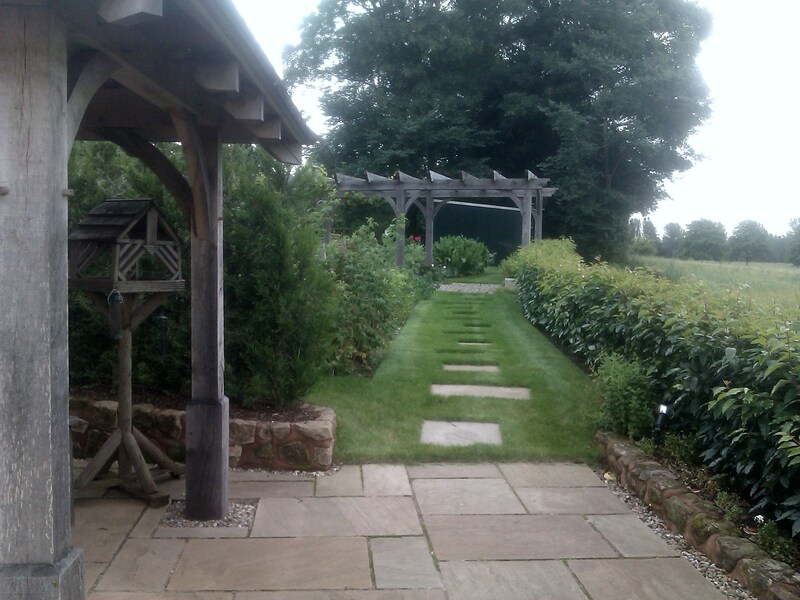 They offer a service with a personal touch and genuinely care about their client’s gardens. Their attention to detail is superb. Even down to tidying up and collecting up trimmings and lawn cuttings. Their productivity levels are high and they get through a lot of jobs in the time they are here. They take pride in their work and create the most beautiful gardens”. “Communication is the root of successful client relationships. The clients and I regularly have a walk around the garden to discuss how things are going. Mr & Mrs T have invested a significant amount of time and money in their garden. We maintain it to a very high standard and make improvements where we can in line with their wishes”.